Tristan Auer: The Designer of the Year at Maison et Objet 2017! Maison et Objet: Let’s meet Tristan Auer, the designer of the year award September 2017, with a career applauded worldwide! 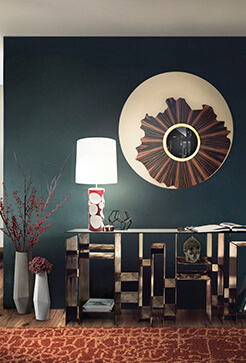 This year, the most amazing trade show will recognize the talent of interior architect and designer Tristan Auer. 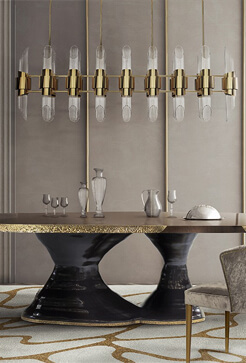 Synonymous with bespoke luxury, the French interior design came to revolutionize the interior design world with his approach that lends coherence and originality. TRISTAN presents himself to the world with a unique propose: custom luxury placing always identity and personality in his creations. With a strong attention to detail, drawing is an essential role play in his interior design strategy. After training with Christian Liaigre and Philippe Starck, Tristan Auer has developed his own style: “bespoke creations, featuring a bold combination of classical references and avant-garde design.” That’s why his name is constantly associated with French style. Above all, Tristan is a man with passion. Driven by his passion for vintage cars, Tristan Auer customises the interiors of unique vehicles like he would do in the interiors of hotels or private residences. Therefore, the interior designer bets on door pockets lined with cashmere, nubuck ceilings, dashboards sheathed in matt leather and matching bags. We believe this is one of the reasons why he is THE awarded designer of M&O September. Tristan Auer established his own firm in 2002: Izeu. With a wide number of projects worldwide, he has consulted for several real estate and hotel companies, to help them strengthen their brand image through luxury and French know-how. The renovation of the Hotel de Crillon due to be completed during the summer of 2017, a new building for a renowned champagne brand in Reims, two private villas in St Barts and another two in Paris, a hotel on the island of Mustique and another one in Le Marais, are some of the most amazing projects of this astonishing designer. Click HERE to find who’s the designer of the year of Maison et Objet 2018!